One of the longest-standing issues in dentistry is crowns that do not fit. Making a crown fit perfectly between adjacent teeth is hard work. The problem has been knowing exactly where the contact point is located to make the adjustment. 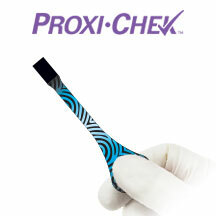 Microcopy's newest product, Proxi-Chek, takes the guesswork out of fitting a crown.